Artificial intelligence techniques such as machine learning can be applied to identify patterns in the data to the point that computers can start to predict behavior by finding connections in data, make recommendations, and in some cases even complete tasks without human involvement. But, in reality, how much are companies actually leveraging AI to enable these capabilities in their products? And we’re not talking about mega vendors with huge R&D budgets like Google or Amazon here - they play in their own league. Even though we’re seeing the increased commoditization of AI (you can now purchase fully trained machine learning APIs), which means that the barriers to usage are quite low, the real applications of the machine learning technology are not yet as widespread as you’d expect them to be. Marketing pitches would tell a different story though, as too many vendors now attach the words “machine learning” and “AI” to their products. What most of them mean is that they are providing software based on some sort of a standard decision tree algorithm. While this is a form machine learning, it was perhaps a sensible standalone solution 10 years ago. Nowadays, we have access to more sophisticated systems and techniques that produce immensely more impressive results. Unless the system can learn from data and experience to improve results, the value it can deliver is limited. Without the aspects of learning and continual improvement, the system is far from what we nowadays consider as artificial intelligence. What we’re doing with AI, Machine Learning? This is a real and valuable case for machine learning and it makes sense for any company that could benefit from a system that can forecast demand, inventory, or pricing based on the right models and historical data. Using data and ML we can predict, for example, when a vehicle needs maintenance (IoT), forecast demand and supply, improve personalization, prevent fraudulent activities, and more. At SpiceFactory, we’ve worked with clients on developing IoT applications for fleet management that leveraged machine learning technology. One of the cases where neural networks help is training them on the collected data to detect aggressive driving behavior. In the system, the operator can flag the behavior that is considered aggressive, training the neural network to detect similar patterns in the future. We’ve been writing a lot about conversational interfaces as this has been one of our key focus areas in the past couple of years. We’ve developed two chatbot products internally, Sava bot for conferences and Cognito banking bot. Both of our chatbots use a proprietary natural language processing (NLP) system developed in-house by the SpiceFactory team. What makes our bots “intelligent” is the capability to analyze user sentiment and the application of machine learning techniques to NLP problems. This way our bots can learn from past experience with users; more on this later in the article. identify up-sell opportunities based on historical purchasing data (eCommerce applications), etc. The incredible business value of these machine learning-powered applications is that they can identify patterns at scale. First thing that comes to mind when we think about pattern recognition is Netflix – they leverage machine learning to analyze your activity in comparison to millions of other users to determine what you might like to watch next. Our event chatbot Sava applies a similar approach and learns user’s preferences over time to tailor the experience accordingly. This “knowledge” is then used to recommend conference sessions that would be interesting for the user to attend. When the conference is over and session videos become available, Sava will send a personalized curated list of the sessions that the user missed and may find interesting. Sava learns from different user inputs: searches, clicks, personal schedules, ratings, and questions they ask. AI technologies and machine learning are used in various industries, from banking to entertainment, and they are increasingly shaping the expectations on both the business and the consumer side. If we manage to successfully combine machine-analyzed patterns with human understanding of those patterns and our ability to make strategic decisions, we’ll be able to deliver much better outcomes for both sides. 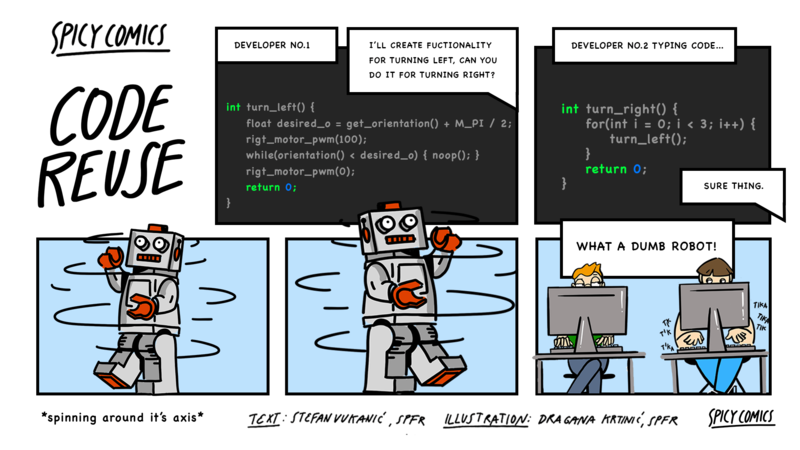 Want to learn more about what SpiceFactory is doing with machine learning? Feel free to contact us.